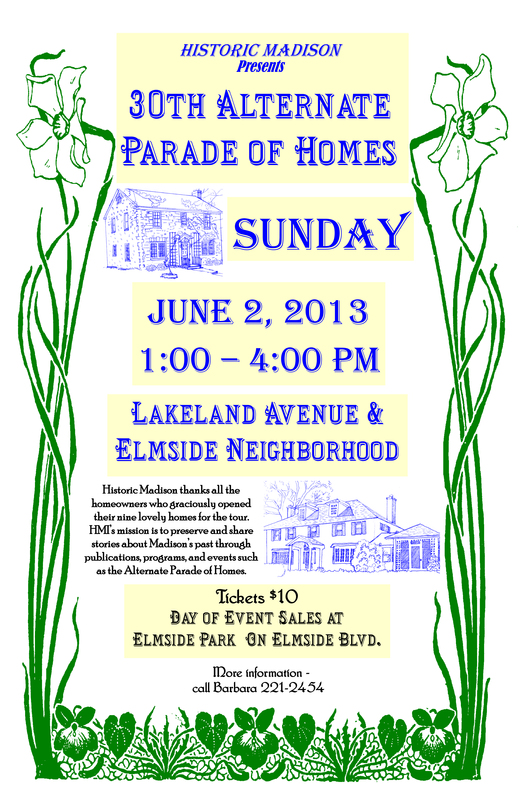 Historic Madison’s 2013 Alternate Parade of Homes will take place on Sunday, June 2, 2013, from 1 to 4 p.m. This year’s parade will be in the Lakeland Avenue / Elmside area on Madison’s east side. 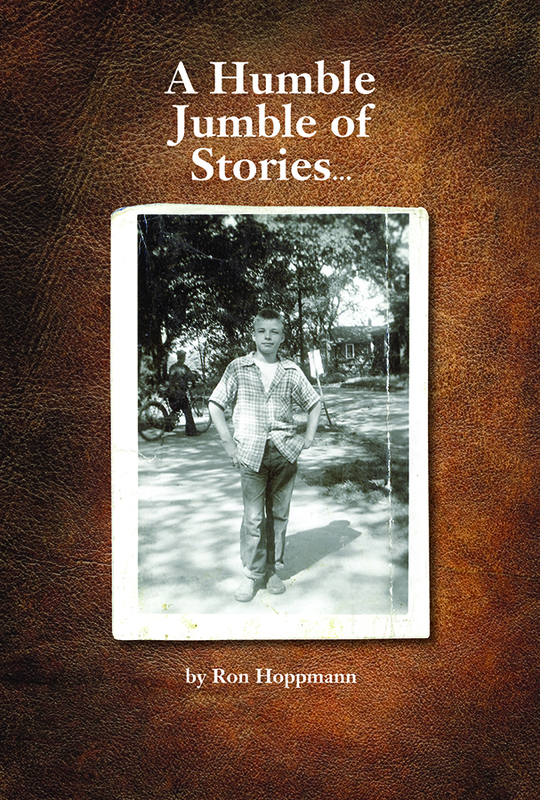 New Book about Growing Up on Madison’s East Side! In Fall 2012 Madison Magazine and I (Sarah White) teamed up to offer one lucky reader the chance to see his or her life story become a book. Entrants submitted a 500-word autobiographical sketch, and a panel of judges chose winners–Ron Hoppmann, first place; Barb Kehrein, second place, and April Hoffman, third place. In May, I delivered Ron’s completed book to him. We celebrated its launch with his writing group. 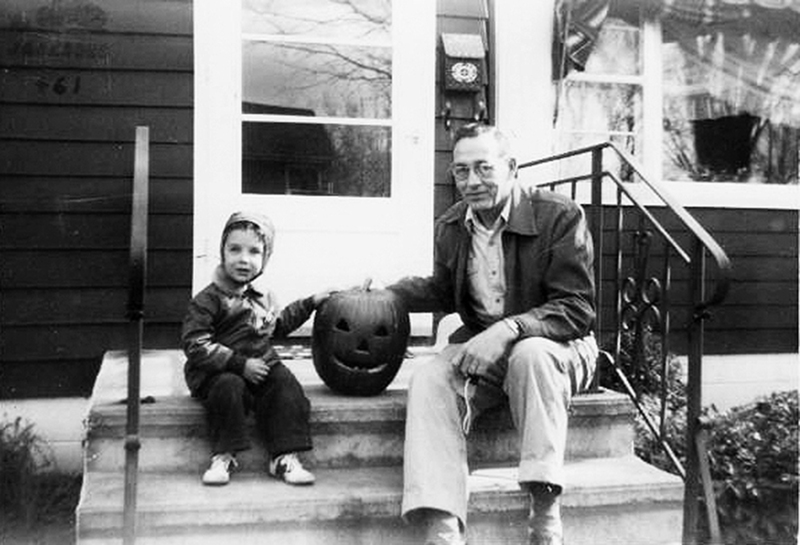 Ron Hoppmann was born on Madison’s east side in 1934. He attended Marquette Elementary School and East High School. Ron spent three years active duty in the Marine Corps and went to college in Colorado. His memoir is (in his words) “a humble jumble of scatter-brained writings” about his childhood as one of eleven children raised by a divorced mother during the Depression and World War II. The book is for sale on Lulu.com. To purchase a copy, click here. Ron says, “I write because I have no choice in the matter.” Now in retirement, Ron was the owner of Bord & Stol furniture in Madison. He is a father of three and grandfather of seven. 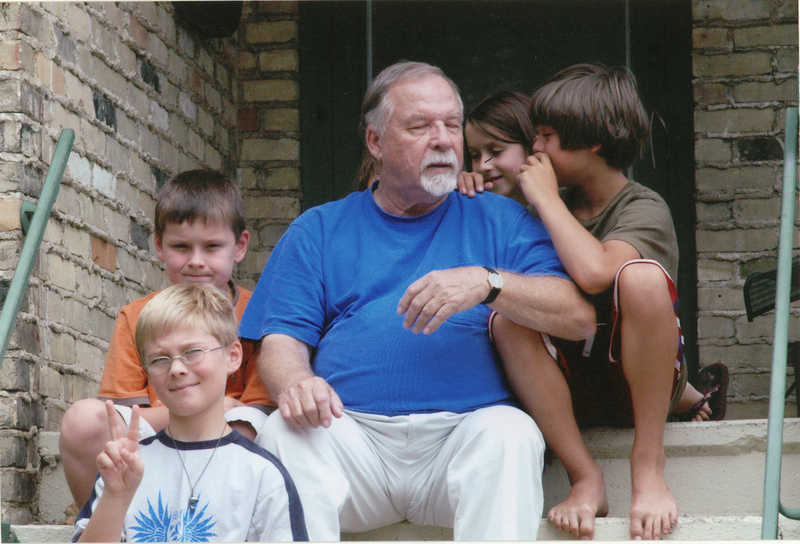 “Grandpa Ron” with grandchildren Kale, Finn, Evelyn, and August. He often writes with the Meadowood Life Story Writers. Ron’s writing has been published in two anthologies published by Meadowood Life Story Writers in 2011 and 2012 and in Julien’s Journal: The Dubuque Area Lifestyle Magazine in August 2011. Ron’s boyhood is also recalled in Crazy Cats Tear Their Skin, a series of reminiscences written by his mother Beverly Hoppmann Anderson and published serially in the East Side News several years ago. Now compiled into a book by his sister Barbara, Crazy Cats Tear Their Skin can be purchased at the Goodman Community Center. Sorry folks, there will be no East Side History Club meeting this month, because co-organizers Ann Waidelich and Sarah White are involved in this workshop in Westmorland. We invite you to join us — you could learn to collect stories from your family members or neighbors. Saturday, May 18th, 9:00 a.m. – 12:00 noon, Sequoya Branch Library, 4340 Tokay Blvd. Free! Troy Reeves, head of the Oral History Program for the University of Wisconsin-Madison Archives will teach the essential steps for conducting a successful oral history interview. “Collecting Voices” is part of a volunteer oral history project underway in Westmorland. The public is welcome to attend; we hope to stimulate similar activities across Madison. This project is supported by Dane Arts with additional funds from The Evjue Foundation, Inc., charitable arm of The Capital Times. 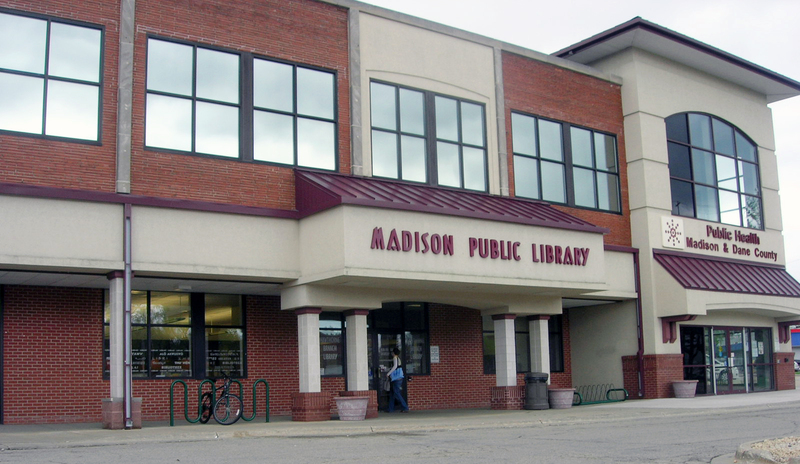 On Tuesday, May 7th, the Madison Common Council passed a resolution congratulating the Madison Public Library and the Hawthorne Branch on their 100 years of continuous service to the residents of the East Side of Madison. 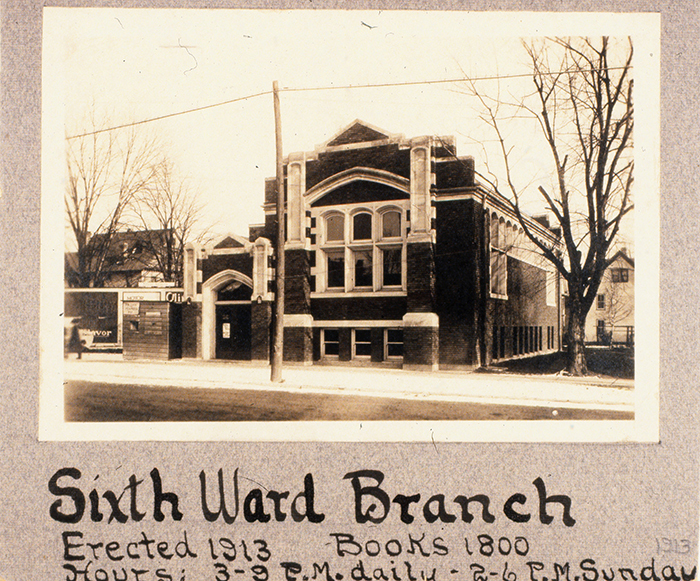 In 1913, Madison’s first branch library opened at 1249 Williamson Street. 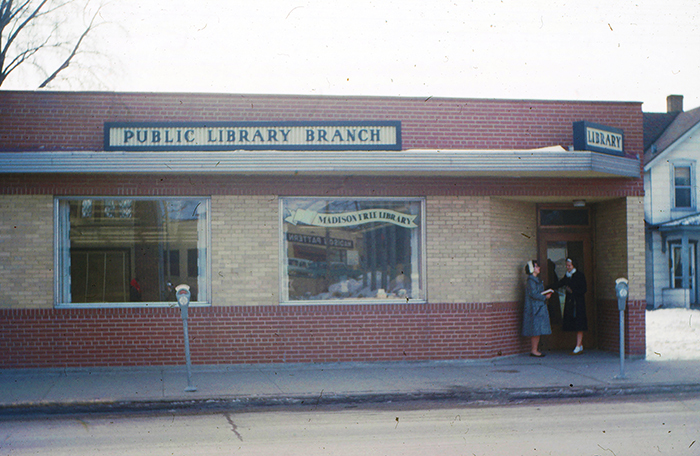 This library would eventually become the Hawthorne Branch, now located at 2707 East Washington. The Sixth Ward Library was the first of Madison’s branch libraries, and the oldest surviving library building in Madison. Before its opening, the Madison Free Library served east side factory workers and their families by placing shelves of books in neighborhood groceries. The new library provided a larger variety of reading material, a branch librarian, and space for educational lectures, continuing education courses, and club meetings. 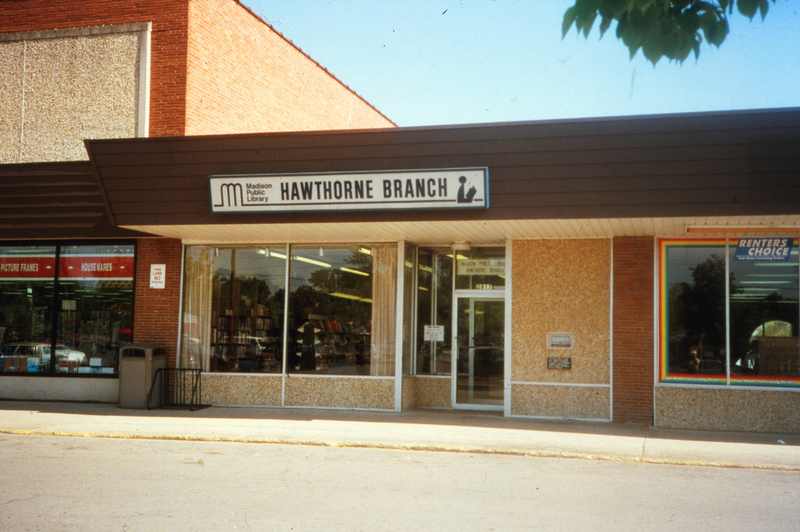 Today’s Hawthorne Branch Library, 2707 East Washington Avenue, after it moved in 2000 into larger space west of the shopping center. A century later, Madison’s libraries continue the tradition of free public educational opportunities envisioned by Andrew Carnegie.